Google now brings an optimized version of its Google+ Hangouts app to iOS7, so you can start with a colorful homescreen and sign into a cleaner look. That’s only the beginning, as the iOS7 makeover includes animated stickers, 10-second video messages, and picture-in-picture video calling as one of the optimizations for iPads. 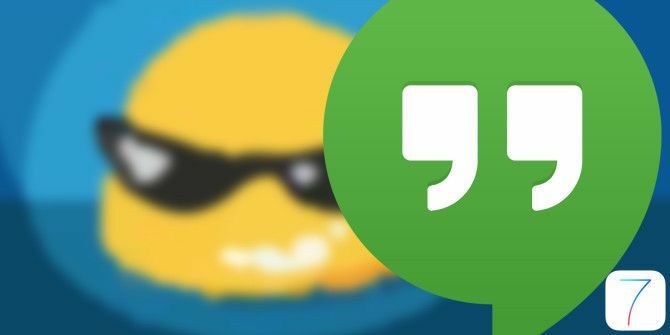 Google+ Hangouts as a mobile app has distinctly felt like a mobile incarnation of the web application. With these tweaks it feels more like a mobile video conferencing tool in its own right. The addition of three dozen new animated stickers are also a nod to the teen generation. But what’s more useful is the ability to send short video messages of 10 seconds long. You can also attach a map of your current location to your messages, but you have to allow Hangouts to access your location for that to work. The app also feels more intuitive now. You can swipe a contact to start a video chat, favorite, or mute the conversation. And as always, you can turn these impromptu video calls into group conversations with ten people. Google+ Hangouts for iOS7 has also been optimized for the iPad. Video conferencing on iPad benefits with picture-in-picture calling. Mobiles are the battleground for the communication wars of today. Many people may not be serious about Google+ as the social media of choice, but Google+ Hangouts really is purposeful. But do you think so? Explore more about: Google Hangouts, Google Plus, Video Chat / Call.